You are woken by the calm voice of your expedition leader over the loud speaker who will briefly explain what is on the schedule for the day. 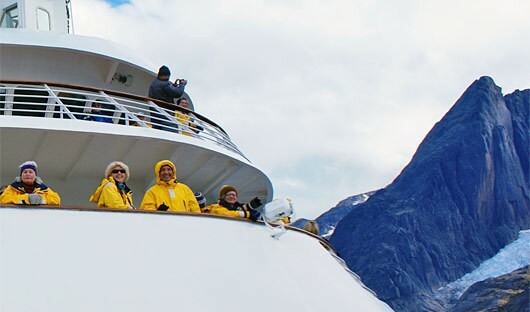 Quickly get dressed and head out to the bridge to take a peek at the mountains as they pass by the ship. Head to the dining room where a delicious buffet breakfast is waiting. There are so many options to choose from it is hard to not over indulge. Return to your room to dress warmly for your first excursion. 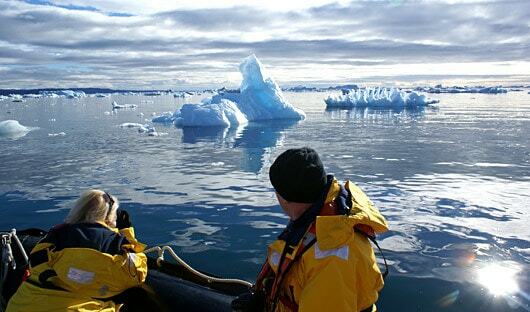 Board the Zodiacs with your fellow travellers and cruise around the bay viewing icebergs up close. Your expedition guide will points out how certain formations come to be, and slows down for photos. After ample time cruising you pull up at shore and disembark the Zodiac. It’s time for a hike. You are able to choose which group you would prefer depending on your fitness level. Today the hike is to the top of a huge glacier. 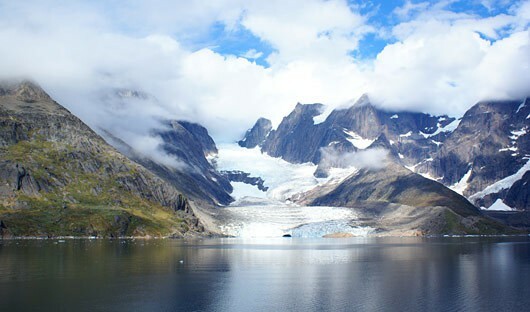 If you are lucky you will see an iceberg carving off and setting sail into the fjord. From your viewpoint above the glacier the ship looks tiny compared to the backdrop of mountains. On your way back to the ship by Zodiac you are surprised by a whale breaching very close to your vessel. Everyone is very excited to see a whale so close and are thrilled when the whale surfaces for a second time, as curious of you as you are of it. Head back to the ship and enjoy a warm drink in the lounge. There is a lecture on the history of Greenland and its indigenous people held by an expedition team member who is also a historian. You learn about upcoming archaeological sites on the trip that you will visit and the way of life of early Inuit’s. Some of your fellow travellers may prefer to spend this time at leisure, sorting through photos, spending time of deck taking in the breathtaking scenery or relaxing in the lounge with a hot drink. Enjoy a BBQ lunch out on the deck sit and admire passing icebergs and curious sea birds. Ensure your camera is close by in case you are fortunate enough to see the spectacular site of a whale breaching. 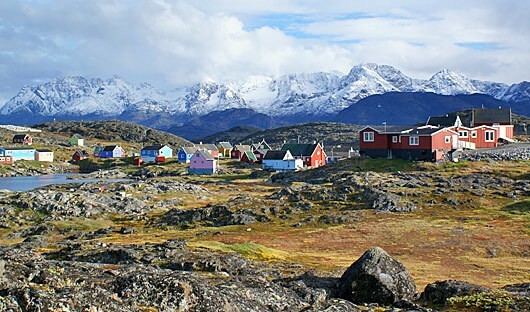 In the early afternoon arrive at a small village dotted with colourful houses, surrounded by snow-capped mountains. All the inhabitants are excited to see the new arrivals and wave to the ship as it pulls in. Onshore you can stroll around looking at the different buildings and a few stores. 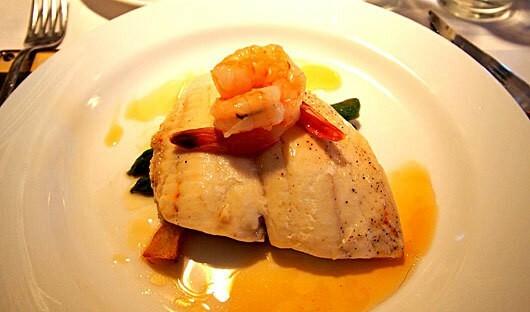 Here you have the opportunity to taste some of the regions delicacies including dried shark and fermented puffin. For the game few you can also try whale. Only subsistence hunting is allowed in Greenland on whales that are not a threatened species. A whale can feed the entire village for at least a month. Listen to the howls of the sled dogs as they lay about waiting for their working season to recommence in the winter. There are some natural springs nearby which your local leader takes you to and explains that this is the fountain of youth. 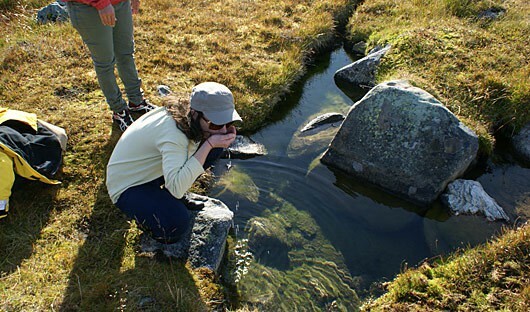 You drink eagerly dubious of its powers but happy to taste the fresh natural water. Back on board enjoy a warm cup of tea or coffee with some freshly baked cake. The captain has decided to explore some rarely visited fjords and see what the adventure brings. You go to the bridge and watch him steer the ship safely through icebergs and towering cliffs. 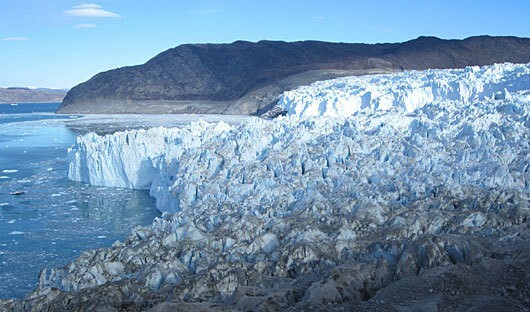 You see at least 3 glaciers which are fed by the ice-cap. As you continue on a mist drops giving your photos an enchanting feel. Everyone gathers in the lounge before dinner for a recap where the expedition leader goes through the sites that were visited during the day which is a great way to keep your travel journey up to date and jog you memory of the sites you visited. The time comes for dinner which is exquisitely prepared fresh fish purchased in the village and finished off with the best chocolate cake you have ever tasted. 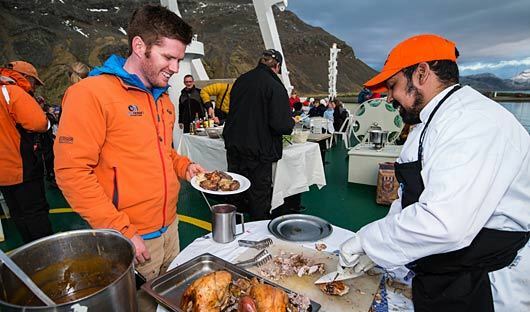 Once the meal is completed the expedition leader takes a few moments to advise everyone of what is on the itinerary for the following day. As you head further north where there is more sea ice the chance of seeing a polar bear increases. 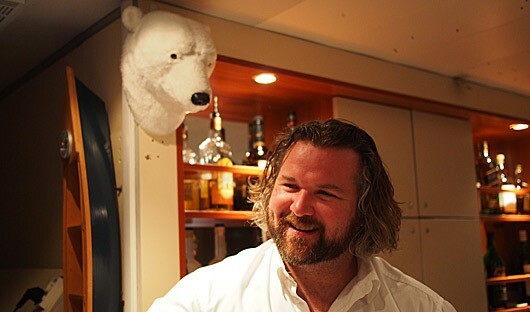 The expedition leader advises that on the last voyage they took to this region they saw two polar bears. Everyone’s hopes are high for what the next few days may bring. You head to the bar for a night cap and recount your tales of exploration from the day. The expedition team has organised a story telling session where one of the expedition leaders entertains everyone with stories from his adventures on past Arctic trips. 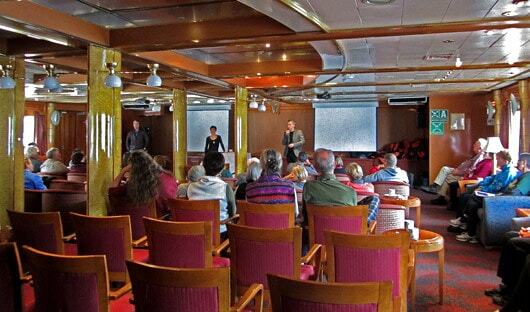 Before you retire to your room for the evening the expedition leader makes an announcement that all guests should head outside as the Northern Lights are able to be seen. 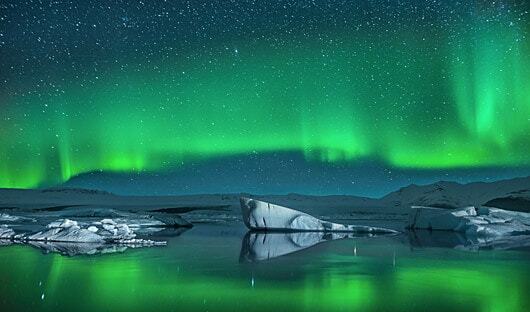 You head out on deck to a beautiful faint green light shining in the sky. It is a perfect end to the day. As you head off to bed you are excited to find out what tomorrow brings and are sure that there is great adventure ahead.